A scotch bonnet pepper may sound timid, but it is nothing of the sort. 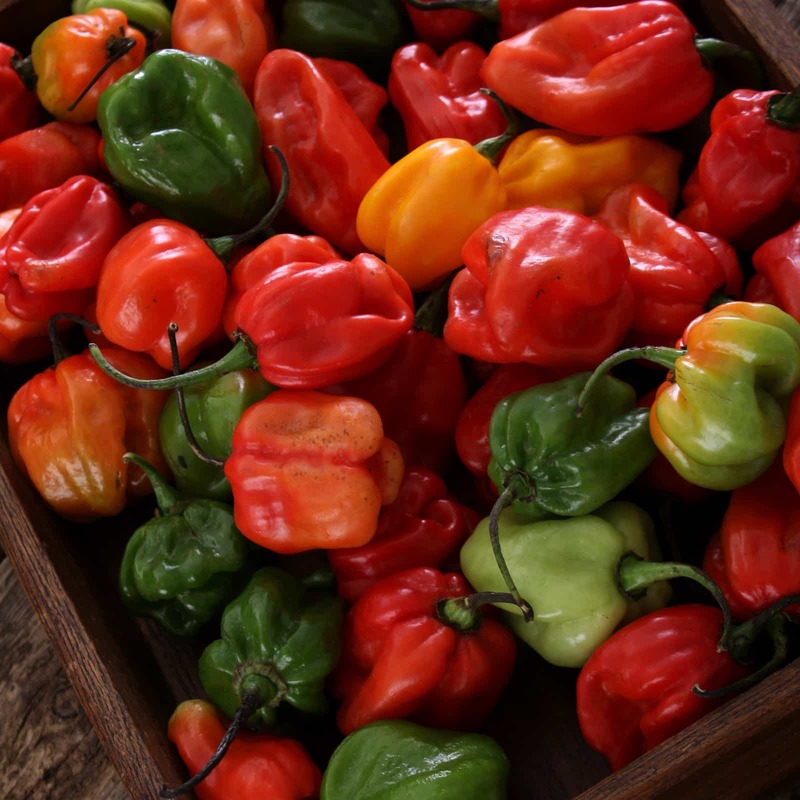 It’s one of the spicier peppers (100,000 to 350,000 SHU, same as a habanero) that you may potentially find at a supermarket, especially in geographic areas high in Caribbean residents. Why the Caribbean? Because this is THE pepper of the region. In fact, if you say you want a hot pepper in most of the Caribbean islands, the scotch bonnet pepper is what you are handed. 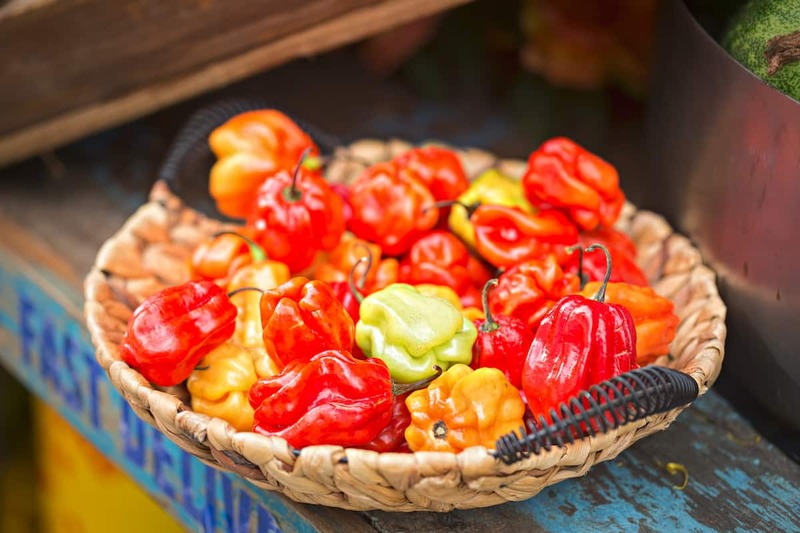 Scotch bonnet is used in all sorts of Caribbean cuisine, including the well-known jerk chicken (or jerk pork). 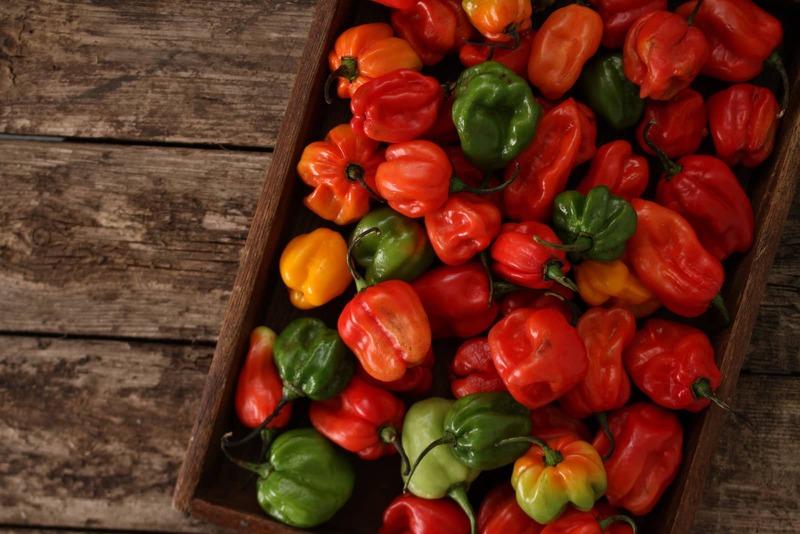 Where does the name scotch bonnet come from? The shape of this famous pepper is what inspired its name. In shape, the pepper with its squashed look appears like a Scotsman’s bonnet (called a Tam o’Shanter hat). Simple as that. Nothing else reminiscent of Scotland about this pepper, but it does have a name that’s hard to forget. It has other names, too, including the Bahama Mama, the Jamaican Hot, the Bahamian, and the Martinique pepper. Is the scotch bonnet pepper spicy? Yes! Very spicy. As mentioned, it’s very similar in spice to the habanero pepper, making it one of the hottest chili peppers in the world. Let’s give it a comparison to our jalapeño reference point. Scotch bonnets run between 100,000 to 350,000 Scoville heat units (SHU). The hottest possible scotch bonnet is potentially 140 times spicier than the mildest jalapeño you may find (around 2,500 SHU). That’s a lot of heat. However, it should be noted that the handful of peppers above it in the Scoville scale are at least two to three times spicier than the scotch bonnet. So despite all its scorch, there is quite a bit of heat above the Bahama Mama. What does a scotch bonnet pepper taste like? This chili has a slightly sweet taste to it, sort of like a tomato with an slight hint of apples and cherries. 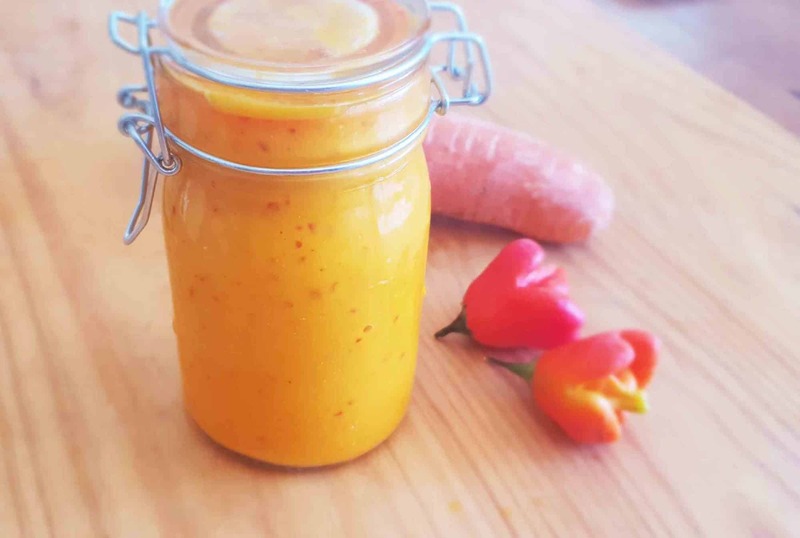 It’s very closely related to the habanero, so if you’ve tasted a habanero you’ll have a decent idea of what a Scotch bonnet has in store for you in terms of heat. Just add in more sweetness. This sweetness makes the scotch bonnet a very popular chili for Caribbean cooking and hot sauces. 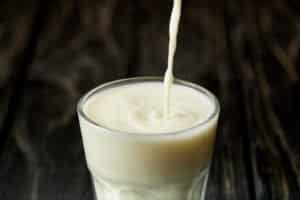 It’s a really distinct sweet-heat flavor that a lot of people love. There are many scotch bonnet varieties? There are a lot of variants of this chili out there, from the Tobago scotch bonnet to the scotch bonnet chocolate and many in between. 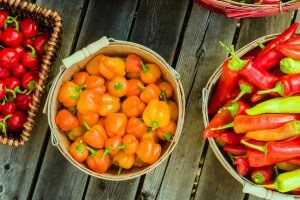 The flavor and heat, as with any chilies, will adapt to the region and soil it’s grown in, so these varieties will slightly differ in spice and sweetness. You’ll also find some that are more elongated than squat in shape, and the colors will range from orange-pink to chocolate-brown. There’s a whole world of options out there for this pepper, and that makes it a fun one to explore in terms of eating. Where can you buy scotch bonnet? 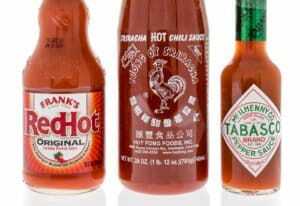 You may be able to find these chilies in supermarkets if you live in areas with high populations of Caribbean people. Otherwise, you will need to order online (seeds, plants, or dried chilies) for growing yourself. 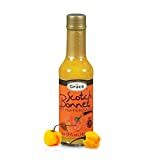 Scotch bonnet hot sauces are very popular, and you’ll be able to find them in many retail stores and online. If you love Caribbean foods and island cooking, take a good look at this chili. 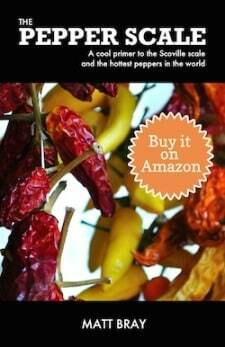 It’ll definitely impress in flavor, while its heat nearly rivals the hottest chilies in the world. 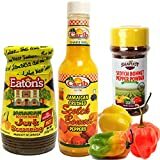 What's A Good Scotch Bonnet Pepper Substitute?